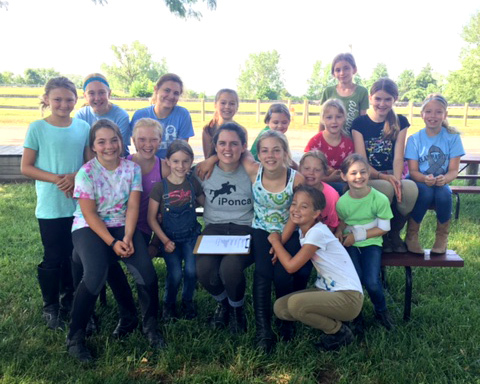 Ponca offers on site professional training and an outstanding school program to allow riders at all levels to pursue their goals. 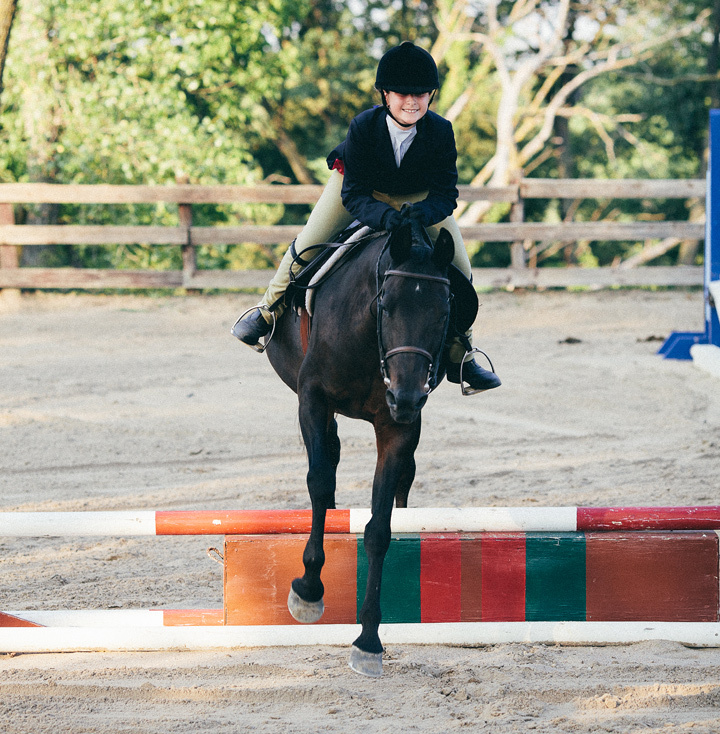 For beginning and intermediate riders without horses of their own, the Ponca School Program offers qualified instruction on gentle, confidence building school horses. 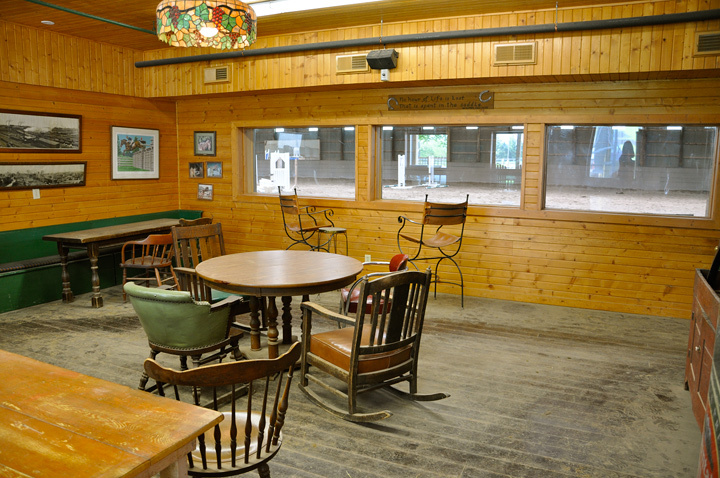 Parents can observe from the comfort of our heated viewing lounge. 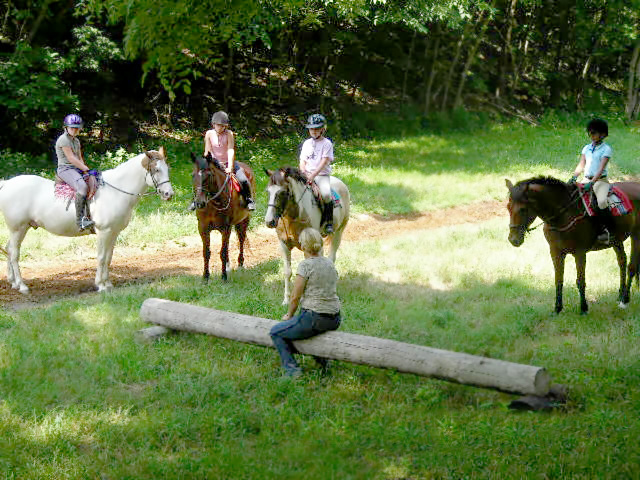 Beginners start with private lessons until riding independently enough to join a group lesson. A minimum of one lesson per week is recommended. We guarantee it will be your child's favorite day of the week! All students learn to groom and tack their lesson horse independently and properly put away their horse and tack after the lesson. Students must arrive at least 30 minutes prior to lesson time. Students must have safe riding attire. These items are available at State Line Tack online, or locally at The Paddock in Omaha where an expert can help fit your child from head to toe. ASTM certified riding helmet (helmets can be borrowed from the School Program, but most students prefer to fit their own helmet). Paddock boots or tall riding boots. Fitted top such as a polo shirt, tucked in with a belt to allow instructors to see body position. Insulted short jackets or vests for cold weather. Chewing gum is not permitted. Dangling jewelry or scarves are not permitted. 24-hour notice of cancellation must be received or full charges apply. Cancellation notices can be sent by text, phone or email to your instructor. To schedule a lesson, or to tour the Ponca School Program, please call 402-453-4000 or email lessons@poncahillsfarm.com. 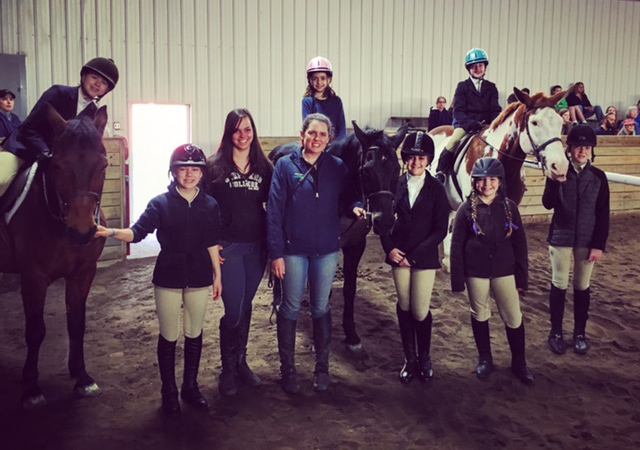 Ponca's Resident Trainer, Omaha native Natalie Shaw learned to ride at Ponca Hills farm, and went on to be named captain of her Equestrian Team at Kenyon College and compete on the IHSA Circuit. After college, Natalie worked as a groom for Olympian Anne Kursinski at her facility, Market Street, in New Jersey. Natalie specializes in building the basics with beginner riders of all ages. Natalie is available for lessons and training. Caleb Cooney is an Omaha native, and Ponca Hills Farm alum. He grew up riding in the Omaha area, and competing on the local circuit. Since leaving Ponca, Caleb spent 2 years riding and working for Brandie and Hunter Holloway of Equi-Venture Farm in Topeka, Kansas, and then riding and working for Karen Cudmore of Heartland Farms here in Omaha. 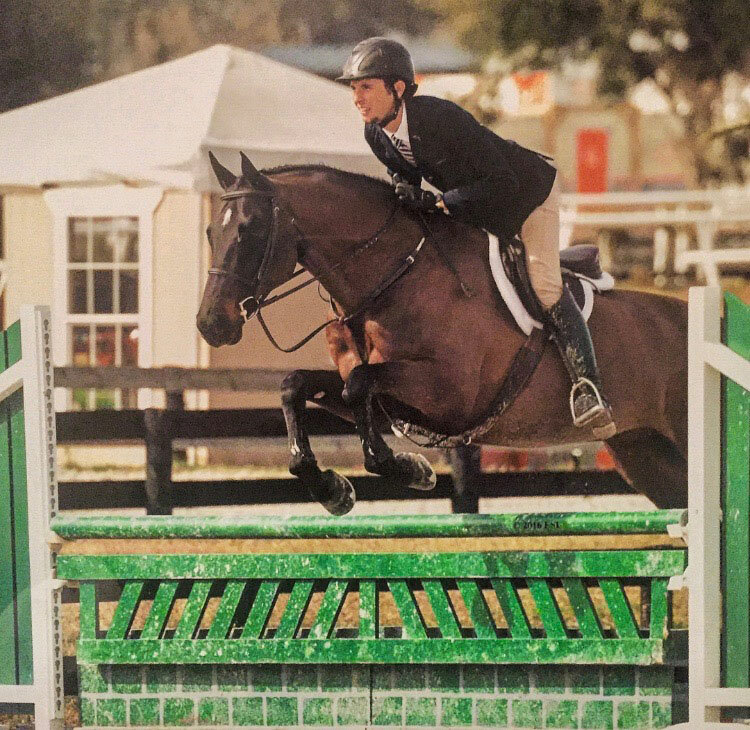 He has traveled to many of the top AA shows in the country, working and riding alongside many great professionals. He spent his winters in Ocala Florida working and also competing on sale horses. 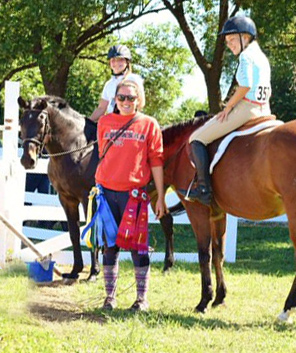 In November 2015 Caleb had the great opportunity of spending a weekend riding in the George H. Morris clinic at Annali Brookwood Farm in Illinois. Caleb is now finishing getting his bachelors in business through MCC and UNO here in Omaha while working at Ponca and is available for lessons. To schedule a lesson, please call 402-453-4000 or email lessons@poncahillsfarm.com. Lesson or training payment is due at time of service. Boarders may add a lesson or training package to their monthly board bill. If you are unable to attend a scheduled lesson, we require 24 hours notice or full charges apply. Cancellations can be sent via text or by phone to your instructor. In addition, Ponca Hills Farm frequently hosts top national clinicians for intensive learning weekends for riders at all levels. Overnight board is available for visiting horses. For upcoming clinics, check "News and Events", Ponca on Facebook, or email us.